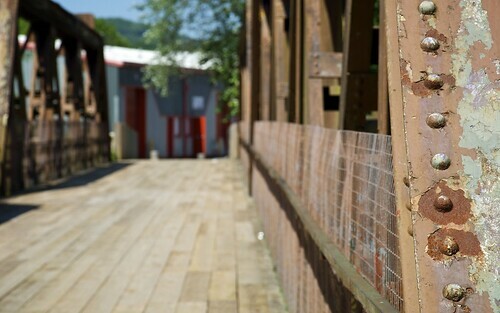 Posted by Stuart Herbert on March 28th, 2011 in Coal, Historical, Pontypridd, River Rhondda, Single Shot Series, Taff Vale Railway (Modern-day Valley Lines). 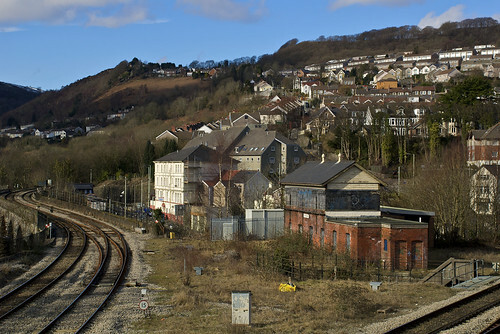 The disused railway signal box at Pontypridd is a Grade II listed building, and was once part of Pontypridd Junction. It played a part in the Hopkinstown Railway Disaster of 1911 (see also Wikipedia), when a stationary northbound coal train failed to comply with Rule 55 and ended up in collision with a southbound passenger train. Eleven people lost their lives. Today, the signal box stands abandoned, unused. I’ve been unable to find any online reference for when the signal box closed. If you know, please leave a comment below. Posted by Stuart Herbert on October 12th, 2010 in Bute Docks, Cardiff, Coal, Historical, Single Shot Series. Mount Stuart Square, a designated conservation area since 1980, is home to something like 60 listed buildings. Some of these listed buildings are considered landmark buildings; some are not. 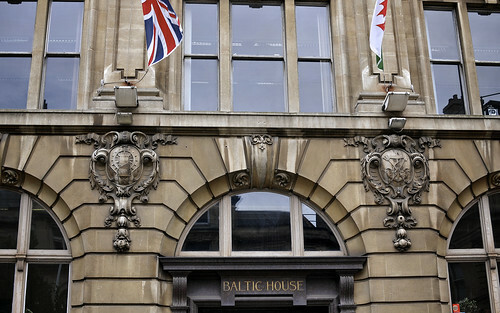 One of the landmark buildings is Baltic House. Built in 1915, Baltic House faces the main entrance of the Coal Exchange. I’ve been unable to find much online about its history, but it is reasonable to assume that it had some connection to the coal trade through the Bute Docks of the day. Today, it appears to be a multi-tenant office block. 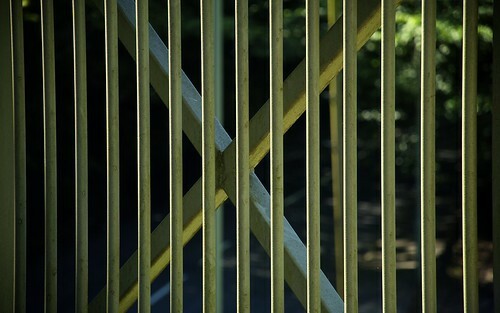 Copyright (c) Stuart Herbert (blog | twitter | facebook) Photography: Merthyr Road | Daily Desktop Wallpaper | 25×9 | Twitter. Posted by Stuart Herbert on October 5th, 2010 in Bute Docks, Cardiff, Coal, Historical, Single Shot Series. The crown jewel of Mount Stuart Square is the Coal Exchange, where the world’s first 1 million pound business transaction was conducted. Today, it’s a multi-purpose building, and its entrance still proudly projects the feeling of power and importance of the affairs that used to happen inside. Posted by Stuart Herbert on September 28th, 2010 in Bute Docks, Cardiff, Coal, Historical, Single Shot Series. 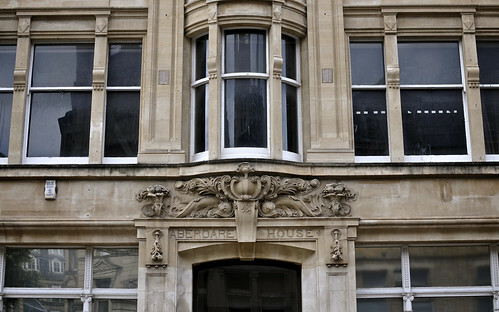 Aberdare House isn’t one of the landmark buildings, but when I recently wandered around the square with my camera, the carvings above the door really caught my eye. Sadly, I’ve been unable to learn much about its original history to date; if you know more about the building, please leave a comment below. What I did find was that, 1933, it was the registered office of Bwllfa & Cwmaman Ddu Collieries Ltd, a company which operated nine coal mines in the Aberdare area, outputting one million tonnes of coal a year. By 1937, the company had changed its name to just Bwllfa & Cwmaman Collieries Ltd, and had moved its registered office to London. Both companies were run by Sir David Richard Llewellyn, a leading member of the coal mining industry in South Wales who was made a Baronet in 1922. Today, Aberdare House is used by the Royal Welsh College of Music and Drama, and first round auditions for all of their 2010 acting programme will be held here. There also appears to be residential premises upstairs too; I found a mention of the sale of a flat back in 2007. 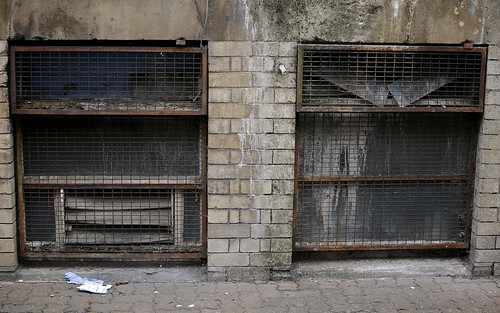 Posted by Stuart Herbert on September 21st, 2010 in Bute Docks, Cardiff, Coal, Modern, Single Shot Series. Posted by Stuart Herbert on September 14th, 2010 in Bute Docks, Cardiff, Coal, Historical, Single Shot Series. 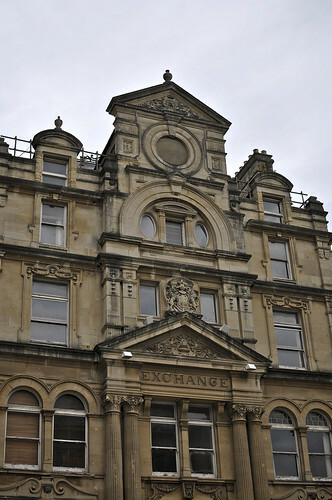 The crown jewel of Mount Stuart Square is the Coal Exchange, where the world’s first 1 million pound business transaction was conducted. Today, it’s a multi-purpose building, and a walk around the outside of it reveals that it has seen better times. These windows, at pavement level on the western side, suggest that not all of the building has faired well since the docks closed in the 1960’s … but don’t they make you curious about what’s inside? They sure make me curious! Posted by Stuart Herbert on September 9th, 2010 in A4054 (Merthyr Road), Cardiff Railway, Coal, Modern, Photos, Shoot, Taffs Well, Walking Routes. North of Coryton Railway Station, the old Cardiff Railway is long gone; the track ripped up, stations demolished. But it would be wrong to say that there’s nothing left of the old line that once made an ambitious (and far from simple) route up the valley, snaking over and under everything that had already gone before, in an attempt to provide another way for coal to make it from Pontypridd down to the docks at Cardiff. 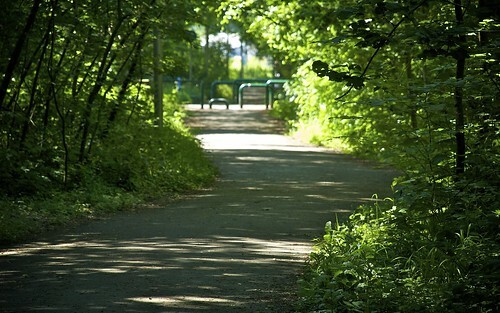 The single most spectacular section is the nature trail that leads immediately north of Coryton Railway Station up to Longwood Drive, where in days gone by Cardiff Railway was carried over Middle Lock by a bridge. Then there’s some surviving hints where the Cardiff Railway was carried underneath the Rhymney Railway (now the Taff Trail cycle path from Taffs Well to Nantgarw). And then Cardiff Railway re-appears through Taffs Well and out to Nantgarw. 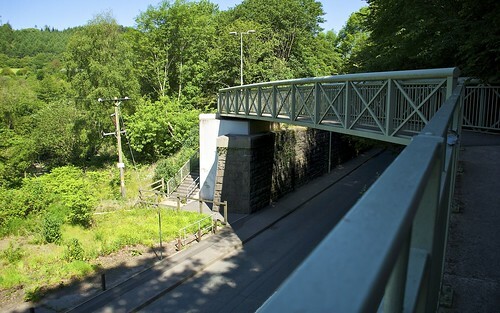 The section out to Nantgarw has, in recent years, been revived as a pedestrian and cycle way, with a new bridge laid across the A4054 to replace the old railway bridge that is long gone. 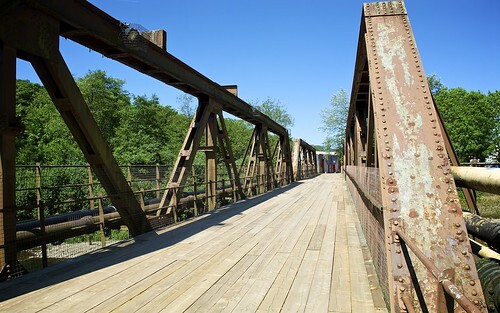 In May of 2009, I went out to the bridge with my Nikon D200 to capture the site as it stands today. I hope you enjoy it. When it was still in existence, Cardiff Railway used to run through Taffs Well and then out and over the old A4054 Merthyr Road at this spot, crossing from right to left before running atop an embankment north to Nantgarw and the coking plant that used to be there before the land was cleared and turned into Treforest Industrial Estate. 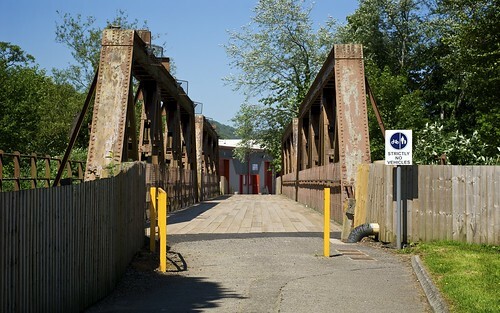 The original railway bridge is long gone, but today, the old railway trackbed through Taffs Well is a foot path and cycle way, which is carried over the A4054 by this modern bridge. Looking north from the bridge, the path runs atop the old railway embankment. You can see from the overexposed area on the left of the shot just how much the light and shade contrasts here. Here’s a better view of the new bridge over the A4054, taking anyone walking or cycling north out of the shaded path and out into the bright sunlight. 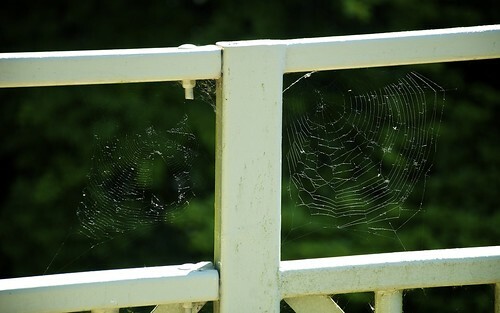 In the railings leading up to the bridge, I spotted these spider webs. 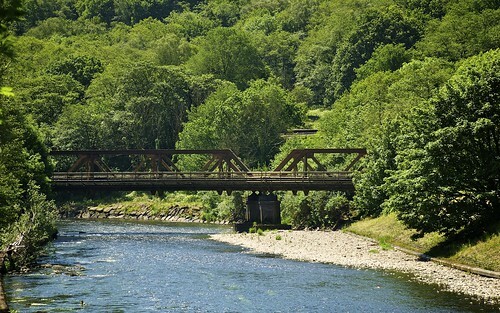 The route south into Taffs Well from the bridge is best described as “shaded”. 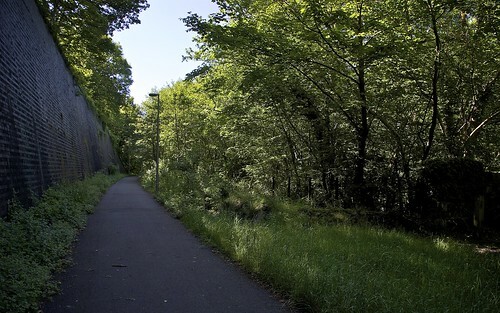 Even on a bright day like this one, the path is well sheltered from the sun by the retaining wall to the east and the trees growing on both sides. 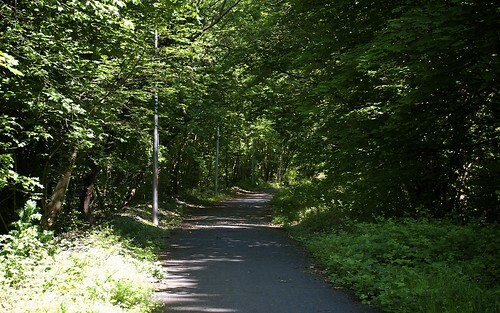 I first walked this route quite a few years ago, before I had heard of the Glamorganshire Canal or any of the railways that I’ve spent so long exploring through the Merthyr Road project. 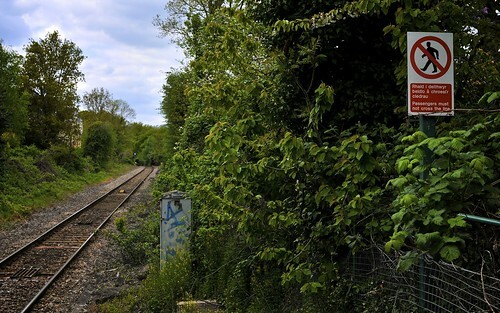 One of the first clues that there was a lost industrial heritage all around us that I was ignorant of came along this very track, where an old crossing point over the old railway still exists. 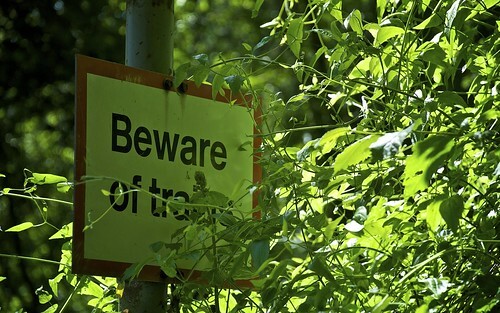 Half-hidden in the bushes besides the old crossing is this sign: “Beware of trains”. The style is one I recognise from the old coal railways of my youth in Yorkshire. 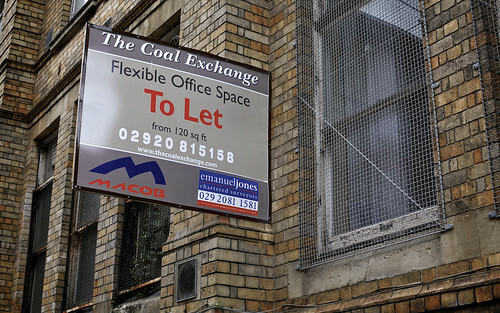 It was this sign, and one just like it up in Treforest, that first made me wonder about what used to be here in the valleys before everything we see today. 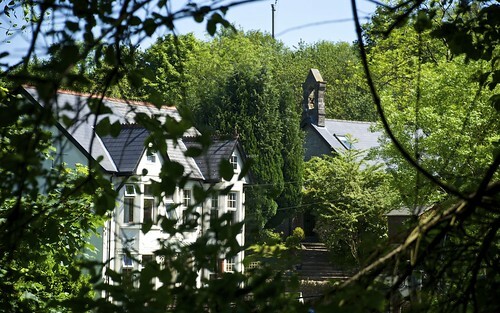 The former railway crossing leads to this house and what looks like a former church or chapel just behind it. 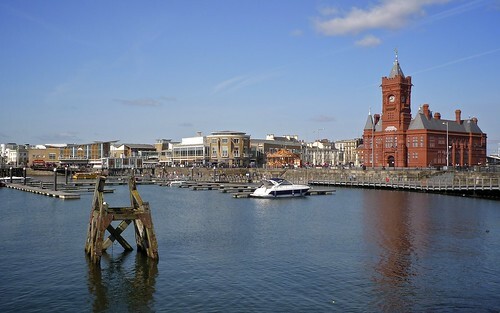 Posted by Stuart Herbert on September 2nd, 2010 in Cardiff, Cardiff Railway, Coal, Modern, Photos, Shoot. 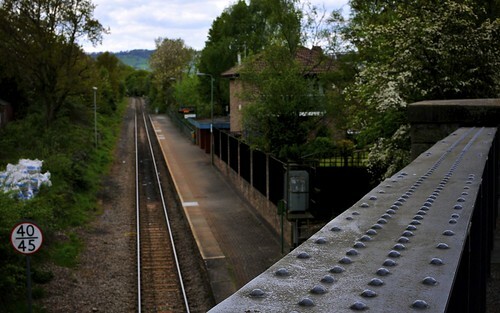 Earlier in 2010, I decided to spend a Sunday exploring the railway stations of the Coryton Line. This is the surviving section of the Bute’s Cardiff Railway, the last of the great railways built to bring coal down to the Cardiff docks. I’m sure I read somewhere that the Bute’s original intention was to run this railway along the route of the Glamorganshire Canal (which the Marquis had earlier bought), but that ultimately he wasn’t allowed to close the canal, and so had to come up with an alternative route for his railway. Today, the Coryton Line is a single-track commuter run that swings east to west across the north of Cardiff. 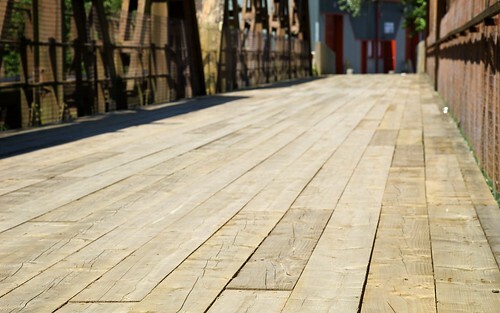 There are no services on a Sunday, making it the perfect day to explore these stations. Taken from the platform, looking north towards where the Coryton Line starts to make its turn west to Ty Glas Railway Station and beyond. 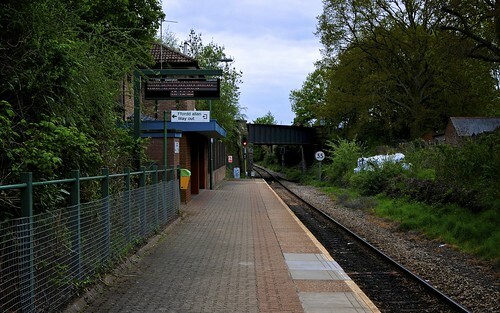 Looking south along Heath Low Level Railway Station’s platform. 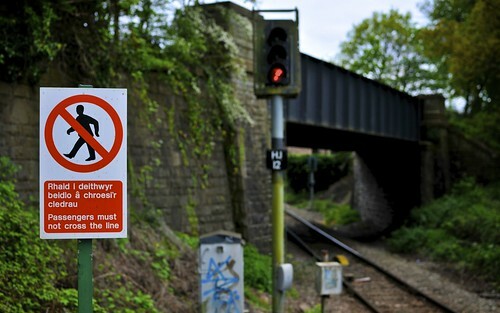 The station is approached through a little alleyway between houses, and is the only one of the Coryton Line stations that does not have the familiar red-and-white railway station sign outside it. 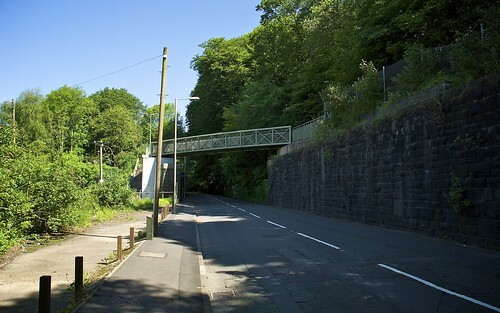 At its southern end, the railway quickly disappears beneath this road bridge before joining the main Cardiff to Caerphilly line. The single best view of Heath Low Level station is from the road bridge. From here, you can clearly see the housing that backs onto the station. For me, Heath Low Level wasn’t just the last of the stations I explored along the Coryton Line, it also contained by far the single most interesting photo to take. 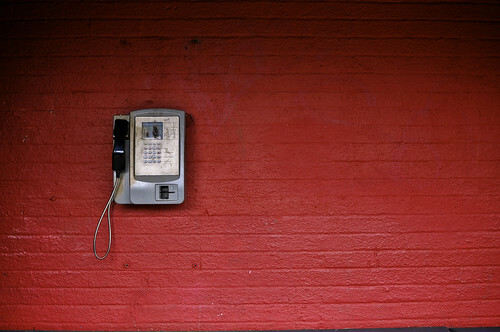 This public telephone can be found in the brick shelter at the station. I didn’t check to see if it worked, though.